Hear thoughts from Michaela, Amber, and Tasha on a variety of topics from microaggression to inclusion to privilege. As organizations become increasingly globalized with employees, customers and investors located across the world, global leadership and the ability to manage stakeholders from different cultures are of utmost importance. 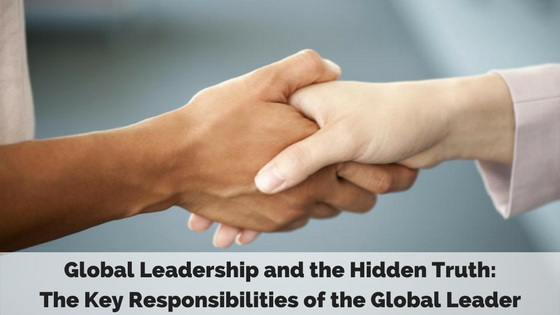 We're pleased to share this article by DICEr Kimberly Kenyatta to further explore the concept of global leadership and the key responsibilities of leaders running global entities. Donald Trump, Vladimir Putin, and Kim Jong-il are names in the news and associated with controversial stories. They are global leaders, demonstrating global leadership. The media shows only a portion of events that would likely peak the interests of its viewers; furthermore, there is a good chance that what is portrayed in the media is not really what takes place behind closed doors. Not all of what we see in the media is a true picture of reality. Considering this in relation to global leadership, two key questions arise: what do responsibilities of global leadership truly look like? What is the leader/follower relationship of these global leaders? Many countries and organizations are globalized, they are interdependent in the areas of economics, technology, and politics. We must consider the global leader as one who is faithful and loyal to the cause of his or her home country. The global leader is not necessarily born and raised in the country they lead, as over the course of the last 20 years, foreigners who lead foreign organizations have been on the rise. Even with a non-national at the helm, it is likely that leadership still follows the principles, cultures, and guidelines of the country in which they operate. Leadership is the process where an individual influences another individual or group of individuals to achieve a common goal using specialized skills. In order to be successful at global leadership, leaders undoubtedly have to implement a strategy for adapting and engaging followers. Leaders and followers are like peanut butter and jam on a sandwich: they go together; they are dependent on each other. When the global concept is added to the mix, the global leader has another layer of responsibility to assume. Leaders have the larger responsibility to ensure the relationship with followers is solid. There is no doubt that a global leader has to be able to work with people from various cultures. As the international business and trade arena grows, so does the opportunity for people to branch out into international employment. Global leaders must be accepting of transcultural visions. When we think of an individual’s culture, we consider the morals, norms, beliefs, religions, rules, traditions, customs, and values. The global leader is prepared to address and make accommodations for followers whose cultural standard require special consideration. The role of global leader takes on additional responsibilities to monitor and protect the rights of followers. When discussing global leadership and culturally different followers, diversity and cultural awareness are vital considerations. Global leaders have the ethical responsibility to ensure followers are treated equally and fairly. In a perfect world, this would be a common theme, but there are always exceptions to the rules. 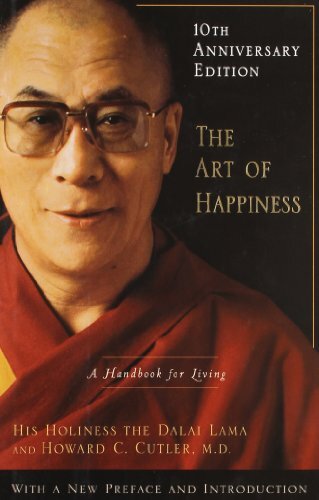 In that perfect world, leaders and followers would experience an awesome relationship of oneness. There are two concepts that impact cultural oneness; they are ethnocentrism and prejudice. Typically, when meeting someone, individuals place their own values and cultural standards at the root of another’s situation before getting a chance to know him or her. As a human, it is normal for one to be protective over what he or she feels is right. We are more comfortable with what we are familiar with. We have grown and experienced things a certain way, and until we are able to allow ourselves to learn from others we tend to be single-mind thinkers. We think our way is the best and only way a task can be achieved. Leaders will make subjective and/or critical analysis of an individual’s culture without making the effort to research and understand the cultural differences. A global leader who has a multicultural following should recognize behavior that threatens cultural wellness. If the leader is not cautious, he will fall prey to objective thinking. Followers with different cultural and customs deserve as much respect as followers who share the same cultural and customs of the leader. A skilled leader will be able to see past the cultural differences to the larger purpose. Prejudice is often seen among individuals with different racial, cultural, and religious backgrounds. Prejudice is believing a belief, race, or culture held by another is unfavorable. Individuals are quick to judge others simply because their actions and lifestyles are different. Prejudices often interfere with the ability to communicate and allow creative thinking. Furthermore, prejudices cause roadblocks in effective communication, collaboration, and teamwork. While facing the prejudiced thinking, leaders also have the responsibility to deal with prejudices among followers. A research group formed a study of 62 societies to study culture, leadership, and organization. These studies were named Global Leadership and Organizational Behavior (GLOBE). The purpose of the study was to investigate the relationship of leaders, organizations, and cultures. From the GLOBE study, researchers identified six global leadership behaviors that would improve the leader-follower relationship: charismatic/value-based leadership, team-oriented, participative, human-oriented, autonomous leadership, and self-protective leadership. Through these studies, researchers identified additional leadership profiles. The profile matched specific cultural backgrounds. The ability to match the profiles to the cultures allows the researchers to take a closer look at which leader profiles would be a match for a specific culture. The profile can also be matched to followers. The GLOBE research shed light on what is accepted as good behavior and bad behavior. Leaders have an ethical responsibility to the follower. Ethics focus on who the leader is and how they conduct themselves. Ethics are the type of morals and values instilled in an individual. Ethics looks at the motives of an individual. This is very important for global leaders. Often followers who are not familiar with the rules and regulations of an organization or country are taken advantage of and even mistreated. Leader’s choices and decision-making are influenced by their moral development. Ethical leaders demonstrate good behavior to the follower. The leader respects, serves, and shows honesty. While it would be ideal that most leaders are ethically responsible, there are some leaders that are unethical and destructive. The term for a leader who operates under this pretense is pseudotransformational leadership. The pseudotransformational leader shares the same characteristics as the ethical leader, so followers are typically not able to tell the difference at first glance. The pseudotransformational leader has two types of followers: conformers and colluders. Conformers tend to go along with the leader to satisfy unmet needs. Colluders will either respond to the leader because they are ambitious or because they respect his values. The pseudotransformational leader operates in conducive environments. In an unstable environment, the pseudotransformational leader has more authority to assert change; followers are accepting of leadership and the relationship deemed successful. Global leadership must align with the approach of adaptive leadership. When considering adaptive leadership, leaders are studied to see how well they are able to encourage followers to adapt to the challenges and changes taking place among them. The adaptive leadership approach focuses more on the follower and less on the leader. The key word here is “adapt,” which means to make suitable or become adjusted to new conditions. Leadership has the ultimate responsibility to see to the adaptation of its followers. Thinking globally, leadership has the responsibility to ensure followers with different cultural standards understand and are able to adapt to the customs, rules, and standards of the home country. Through the adaptive process, leaders ensure followers will be able to effectively adapt to the environment. Using the adaptive process, researchers have identified the behaviors leaders should demonstrate. Get on the Balcony - This term is used to influence the leader to step out from among the chaos and see things on a larger scale. The leader uses his or her insight and intuition to move to higher ground, assess the situation, and identify the challenge. The situation may be a misunderstanding, a conflict, a language barrier, or a resource issue. The global leader not only has to consider the normal challenges of day-to-day processes, but also consider the follower who has a different cultural understanding. The leader should be able to assess and dispel conflict among followers. Identify Adaptive Challenges - After the leader has moved to a place where he or she is able to observe the situation, the leader identifies the challenge. The leader must analyze, diagnose, and resolve the challenge. The global leader may have to intervene with a cultural staffing change. If the conflict is cultural in nature, the leader is presented with the perfect opportunity to mentor and coach the team on diversity. Followers rely on the leader to manage conflicts, resources, or repairs. Regulate Distress – It is the leader’s responsibility to regulate the amount of stress-related activities that followers experience. Adaptive challenges create the need for change; however, change is often accompanied by distress. The challenge for the leader is to acknowledge the stress and assist followers in recognizing the need to adjust processes. The leader is tasked with monitoring stress levels of followers to maintain productivity. Maintain Disciplined Attention - The leader is responsible for encouraging followers to focus on difficult tasks that require completion. During the adaptive process, followers are resistant to change. Leaders must intercede to ensure there is a strong sense of cohesiveness. While the follower is aware of the assignment, the leader influences progress and completion of the assignment. Give the Work Back to the People - Leaders should ensure the followers have clear direction and structure to their work. Followers want to feel secure in knowing exactly what is expected of them. During this process, leaders are more attentive to watch production and determine when to step back and allow followers to perform the work needed. If leaders fall into the habit of micromanaging, followers will expect the leader to continue direct leadership, thus hindering the adaptive work process. Protect Leadership Voices from Below - Leaders are responsible for listening and being open to ideas from followers. The leader has to be aware of the source of the voice. The leader must be careful to respectfully address the minority voice, which may speak out with the intention of speaking for the majority. If the minority voice is also an aggressive voice, the leader must demonstrate a positive and affirmative voice. The leader does not hush the minority voice, but is able to control the conversation and allow followers to express involvement and empowerment. The leader has authority over the conversation; however, he or she does not want to pull the power card. It’s important to maintain an open line of communication. There are many responsibilities of the global leader. Global leaders are admonished to be culturally aware of followers with different backgrounds, morals, and customs. Through adaptive leadership, followers are encouraged to deal with problems and challenges. The adaptive leadership approach is follower focused. Leaders have an ethical responsibility to treat followers with respect and honesty; however, there are some leaders who are unethical. The unethical leader demonstrates destructive and toxic behaviors. Both ethical and unethical leaders share some of the same characteristics. Followers will not identify these destructive behaviors at first glance. Despite the fact, all leaders have followers. Global leaders have the responsibility to maintain regular day to day activities and integrate cultural differences. In order to be successful at global leadership, leaders undoubtedly have to implement a strategy for adapting and engaging followers. Kimberly Kenyatta is a first-year graduate student majoring in Business Administration with a concentration in Healthcare Management. Kimberly aslso has a PhD in Strategic Leadership from Regent University. She is employed with Anthem, Inc. and possesses over fifteen years of leadership experience. She truly believes the phrase, "A team is only as great as its leader." She thrives on studying/learning to improve her skills as a leader. Connect with Kimberly on LinkedIn. Learn what the experts say about increasing diversity, inclusion, and collaborative engagement in your organization. You've taken the first step. Let's take the rest together! DICE looks forward to taking this journey with your organization. Successful leaders know how to wield powerful questions. Connecting employees through inquiry is a proven method for innovative results.